When Google introduced the Penguin algorithm update in the Fall of 2012, one of its goals was to eliminate the search engine manipulation that had been going on with backlinks. The company set out to eliminate any benefits stemming from unnatural links, i.e. those that have been placed purely for search engine optimization purposes, often on low-quality sites, just to improve search ranking. Since SEOs had been using this practice for a long time, and their clients had been benefitting from it, it was quite a rude awakening for many sites. Since then SEOs have had two choices to ensure their clients’ listings on search engine results page don’t tank. They can have the unnatural links manually removed, or they can disavow them. Now that we have had some time to get used to Penguin 3, and see what it means for SEO, it’s time to tackle the question of which approach is better. 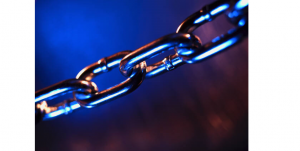 There are several ways you can remove unnatural links from your pages. The downside to this process is that it’s extremely time consuming, and there is a chance you could miss some, which means your SERPs will continue to tank. is tedious even if you use tools. There is one main advantage to using these methods rather than disavow. SEOs are suspicious of the disavow tool. There have been instances where it does not appear to work as advertised, and websites are seemingly hit with penalties despite disavowing the unnatural links. If you do not want to risk this, even though disavowing is somewhat easier, then manual removal may be the better option. Disavowing unnatural links is sort of like asking Google not to count the ballots in the ballot box. If every time you receive a link to your site, that person is “voting” for you, disavowing takes away their ability to vote. It’s a pretty simple process to disavow a link. You go to the disavow tool in Webmaster Tools, then upload all the links you want to be disavowed. Google essentially adds an invisible “rel=nofollow” to those tags so that you are not penalized for webspam. You can include notes to yourself about what you are removing by using the # sign. This can also help remind you which sites you have already removed. Webmaster Tools can help you track down the spammy links too, so that you’re not trying to do it from memory. This sounds like the simpler method for sure, but as mentioned above, there are many SEOs who are suspicious of the disavow tool. Right on the page with the description of the tool, Google admits that disavow is a “strong suggestion” rather than a directive, and the search engine reserves the right to ignore the suggestion when it feels action is warranted. Some SEOs also think Google may be using disavow as a means to gather information on spammy sites, and they do not want to be a part of such reporting, though Google denies this. Because of this, sites that have run your links are generally scared to be hit with a disavow and would prefer you ask them to remove the link yourself before involving Google. If you are having a hard time getting a removal, the threat of a disavow report could help your case. Google suggests that you try to remove the links yourself before resorting to disavow. complicated undertaking no matter whether you choose to disavow links or remove them. It is always difficult to adjust to the latest changes made by Google. Many people are confused by the disavow tool and whether using it will penalize their site or tip Google off to webspammers. Of course, if Google had a better relationship with SEOs, such tension might not exist. Should you use disavow or removal? The safest bet seems to be to try removal first. If you can do it without involving Google, then good for you. But that will not be possible for every site, and the disavow tool is a good backup for those who have put time into trying removal but are not getting the results they want. Adrienne Erin writes twice weekly for SiteProNews about online marketing strategies that help businesses like KS Tooling, Inc. succeed. Follow @adrienneerin on Twitter to see more of her work or get in touch.